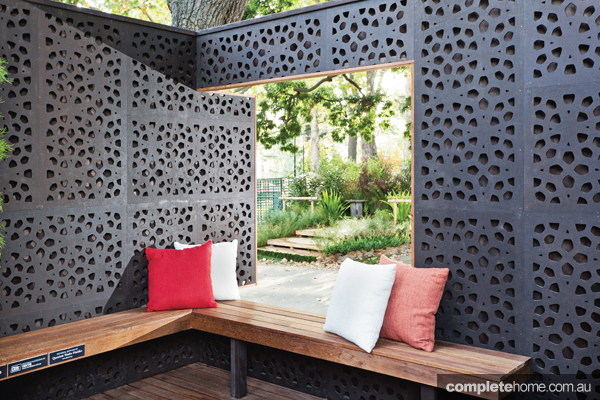 This versatile screening by Outdeco adds to your home’s privacy, focal points and a multitude of features. 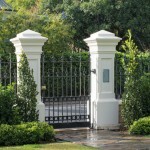 We all want more function and style from our outdoor spaces and we want more creative scope with the products we use. Screening features aren’t just limited to cutting out the neighbours (as important as that is in urban and built-up areas). 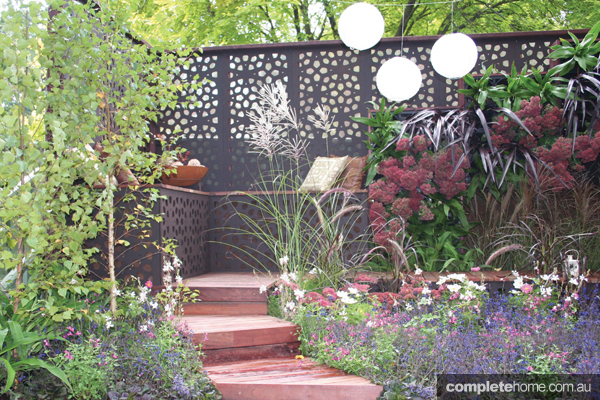 What you need is a modular screen that can be adapted to any purpose, garden style, shape or size. Think partitions, arbours, gateways, fences, bench boxes, pillar boxes, a means of concealing a shed or water tank … and it goes on. 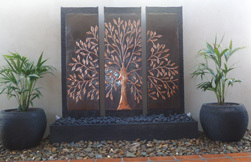 Outdeco’s screens are versatile and can be easily framed or finished in a number of different ways. 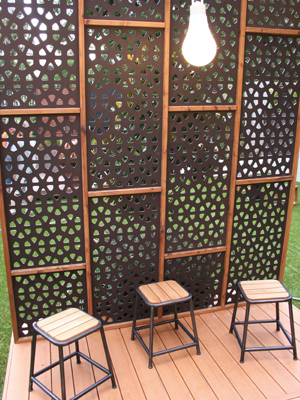 Made in Victoria from compressed hardwood board and available in six patterns, Outdeco’s screens could be just the solution you’re looking for. 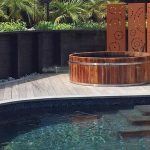 The screens can be painted any colour, sealed with decking oil or left to weather naturally, so no matter what the style or calibre of your project, there’s sure to be a finish and pattern to suit. Incredibly durable, these cost-effective screens come with a 10-year warranty, so you’re assured they will stand the test of time and remain resistant to rot and deterioration. One of the best things about this product is it’s easy to install (whether by a home handyman or tradesperson) — just cut to size and glue, screw or nail into position. And it doesn’t matter what part of the design or construction process you’re up to, an Outdeco screen can be installed at any stage. 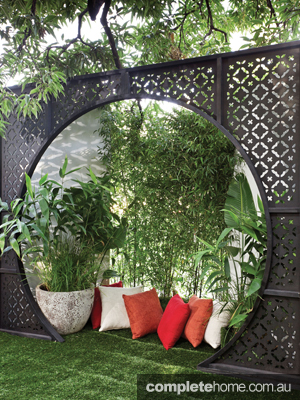 An Outdeco screen is a great way for you to bring a new look to your garden. There’s a variety of different patterns in the range, so you can use one as a standalone panel or repeat the same pattern for a tiled effect. 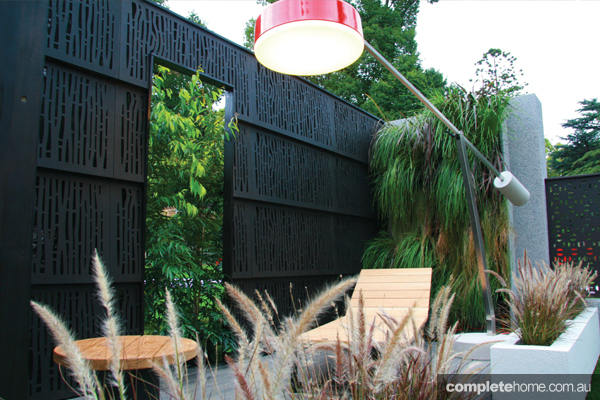 For modern ambience at night, the screens can be backlit; they can also be used as a creative shade solution. 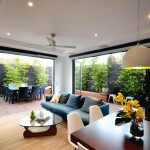 As Outdeco screens are made from waste materials, you have the peace of mind that comes with knowing you’re installing an environmentally friendly product with a low-carbon footprint — one that’s able to withstand Australia’s harsh climate conditions. You can purchase a ready-to-ship screen from Outdeco’s standard range or, if you are a landscape professional, you can arrange for custom-designed screening.